for $529,000 with 4 bedrooms and 3 full baths, 1 half bath. This 4,678 square foot home was built in 2006 on a lot size of 35000 Sqft.. Spectacular Trendmaker home nestled on 0.8 acre lot in the sought after Crighton Woods! 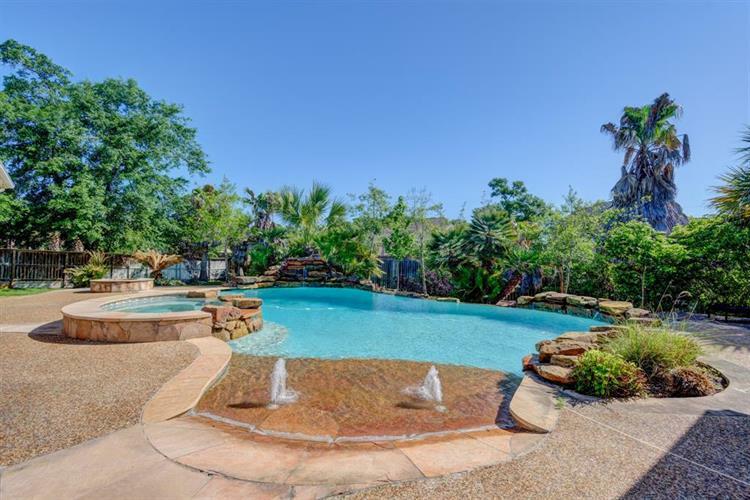 Resort like back yard with gorgeous pool, rock waterfall, heated spa, wood burning fire pit, mosquito misting system, and mature landscaping through out. The home features a spacious master bedroom with separate seating area and fireplace, 2-story living room, kitchen with granite countertops & butlers pantry, and study with built-ins. Large game room on the second floor, 3 nice sized secondary bedrooms each with its own walk-in closet. 3 car detached garage with workroom, porte-corche, gated entry on the drive way. No water during Harvey!